Coffee with Jesus: He wants to listen! I was pretty irritated and upset at what I was seeing on my screen. I almost turned off the DVR and deleted the episode. But I held on. Something told me to keep watching. 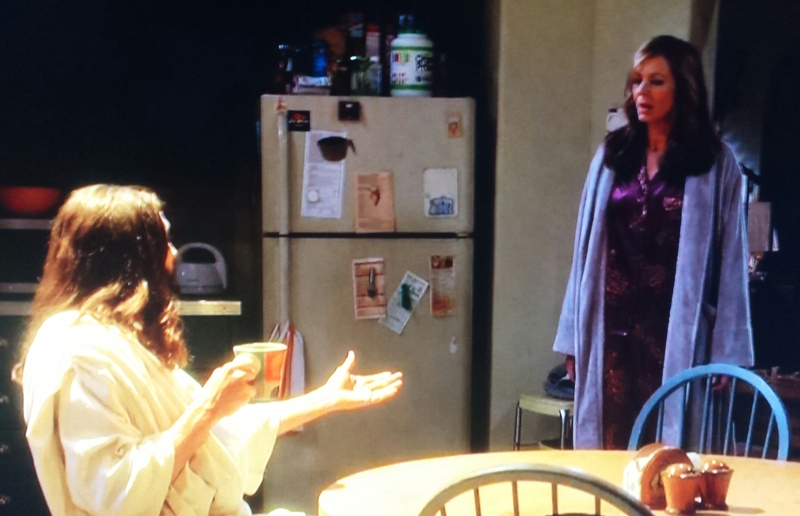 I was watching the latest episode of Mom, a CBS comedy about a recovering gambler/alcoholic woman, Christy, living with her mother, Bonnie, who is also a recovering drug addict and alcoholic. A friend of theirs “found God” while in prison, and now that she was out, she was trying to “drag” them into her Christianity. While Christy started attending church with their friend, her mother was outrageously annoyed by all of the God and Jesus talk. A good portion of the episode was mocking the Christian woman and her beliefs. Bonnie wanted no part of Jesus because she was suffering so much after the death of her ex-husband, who she was still very much in love with. But then there was the final scene. 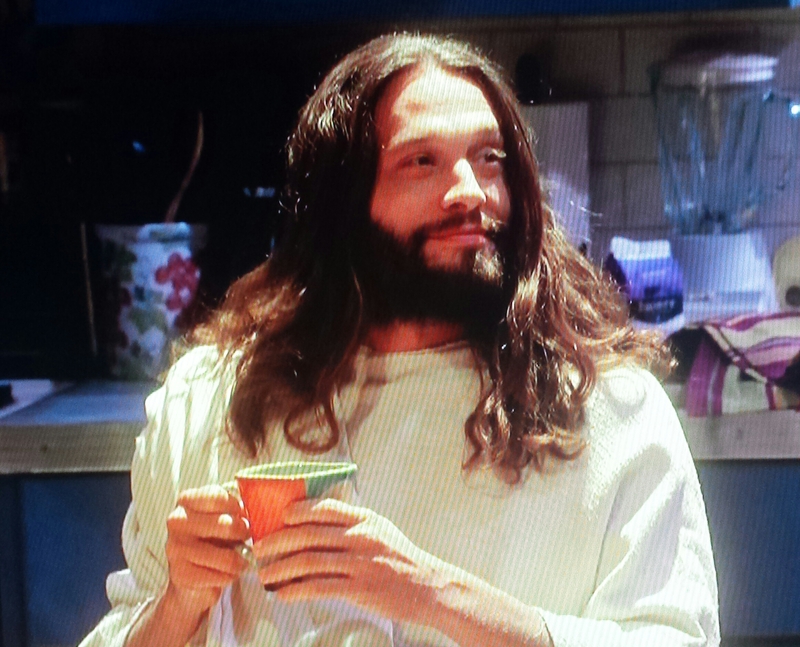 Bonnie walks into the kitchen in the middle of the night to find Jesus sitting at the table drinking a cup of coffee. I was worried where this was about to go. “I heard you were looking for me,” Jesus says. “As a matter of fact, I am,” Bonnie says, and Jesus motions for her to sit down beside Him. After grabbing some coffee, and topping off Jesus’ cup after He asks for more, Bonnie sits down. The audience erupted with laughter. Jesus goes on to explain that it was Alvin’s time, that Alvin’s work on earth had been done. Bonnie then wakes up in her bed, smiles, looks to the ceiling and breathes a sigh of relief. I was nearly moved to tears. Why? Because I believe that this scene beautifully portrays what our relationship with Christ can and should be like and the comfort He can offer us. When we talk to God, it can be like having coffee with a friend. He literally wants to know, “What’s up?” So tell Him. And Jesus emerges from the bathroom. Is there anything more beautiful than that? I don’t know the motives of the writers or producers of the show or where they might take things in the future, but the light in which they’ve presented Jesus in these two episodes makes my heart so happy! I saw that episode and felt the same about the irreverence but then the Jesus scene brought tears to my eyes. We must realize that we are made in Gods likeness and I believe Jesus wants to hold our hand during troubling times. Think about how you would comfort a sad child, Jesus wants to be our comforter. MOM many times gives us a jolt and I like that. I , too, was pleasantly surprised by this episode. I’ve recommended the show based solely on how moved I was by the scene “coffee with Jesus” thank you for allowing this on your show.